Click here to visit the UMass Boston page on Early Childhood Education Master of Education program. Professor Lisa Van Thiel, M.S. Course Structure: The course includes 10 hours of clinical experience. This course examines language development from birth through primary-aged children. Topics will include speech and language processes for communication, language development stages, theories of language acquisition, assessment of language development and activities that foster language development. Special attention will be paid to linguistically diverse populations and children whose language development differs from the reference group, with regards to the most recent advances in the field. Selection and development of pre-reading/prewriting and reading and writing curricula for preschool, kindergarten and primary grades will be addressed. There will be an emphasis on development of literacy in the primary grades that employs a Universal Design for Learning (UDL) approach. The course includes 10 hours of clinical experience. Cite/attribute Resource. MacDonald, L. V. T. M. L. L. A. (Sep 06, 2011). 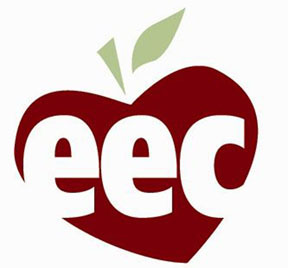 EEC Language and Literacy Course. Retrieved Nov 06, 2014, from UMass Boston OpenCourseware Web site: http://ocw.umb.edu/early-education-development/echd-440-640-eec-language-and-literacy-course.